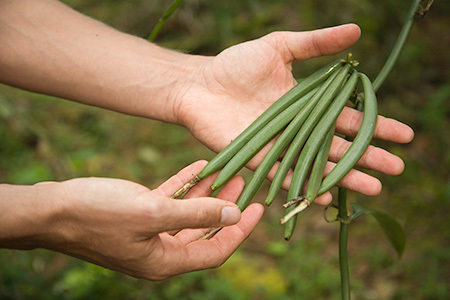 Vanilla beans from Niue have a reputation for high quality, but there are not enough beans produced to meet market demand. Niue Vanilla International sells its certified organic vanilla to Europe, the United States, Australia and New Zealand and is working on a deal with Japan. Owner Stanley Kalauni says the business is flourishing but needs more suppliers. Stanley Kalauni says his company pays suppliers for beans before processing them, so the farmers know they’re always going to get their money. Hi I have tried to email niuevanilla@niue.nu but it is bouncing back. We are an organic wholefood store in the South Island NZ and are interested in stocking this vanilla. Can you get smeone to email me about this!?? Stanley Kalauni at Niue Vanilla can be contacted at niuerentals@niue.nu. I grow vanilla on the big island of Hawaii and have been thinking of moving to the south pacific to set up business there. I grow 100% organic vanilla and Niue is attractive to me for this reason. I am also a farmer and very fond of coconuts which attracts me to a place named for them. What are your immigration requirements for a US citizen? I am thinking of changing my citizenship and Niue seems like a good place to me.